Hello Foxy Friends! If you're hopping over from one of the other ladies today, welcome! Thanks for stopping by my little neck of the woods. 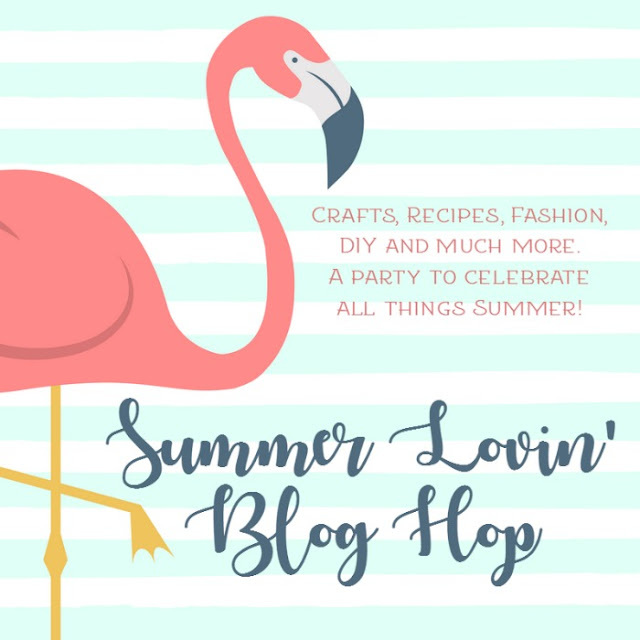 For those of you starting here, today I have a bit of a different post, in that I'm linking up with some other fabulous bloggers for a summer time blog hop, topics range from fashion to crafts to food, so get to looking and find some fun summer themed posts, after you read mine of course (insert smiley face here). 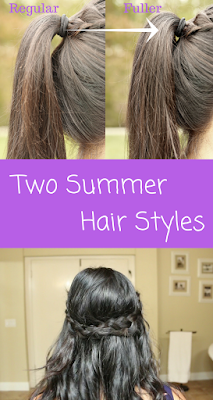 When Stephanie first suggested this blog hop, I thought, of course I'll do a summer hair style! What's better than one? Two summer hair styles! Actually I did one last week, but it was because I was doing this and I didn't want to post two videos on the same day to my YouTube Channel. Last week I did a simple pony tail, but I gave it a twist, by adding a braid and made the pony tail fuller by added these clips to it. First you want to part your hair on the far side (either left or right), then you want to create a small french braid, when you get to about where your eyebrow ends, stop adding in sections and braid it regular till it can reach a pony tail. 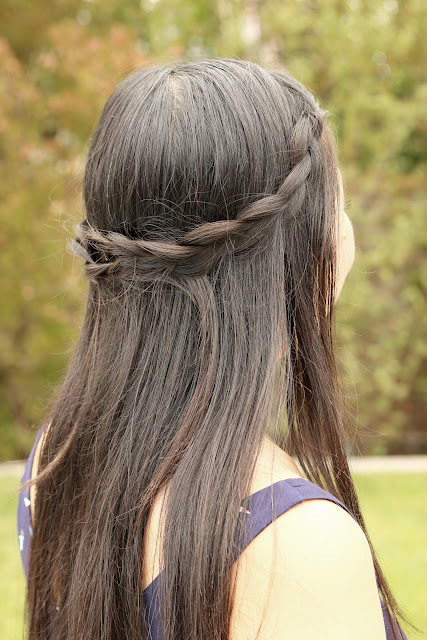 Then you want to pancake the braid, don't pancake the French braided part, as it doesn't really work. Once you are happy with the pancaking you'll want to either clip it off with a Croc Styling Clip or a small elastic band, both will be removed soon, so either will work. Next you want to create a pony tail, put it where ever you feel comfortable, can be high or low. Most likely the placement of your pony tail will be dictated by the angle of your braid. Create the pony tail and just before you put the rubber band around your hair, add in your braid. 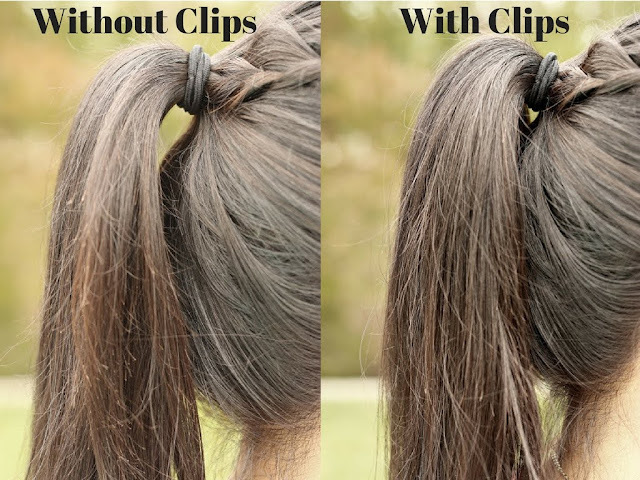 After the pony tail is set, use the mini clips, and add them into the base of your pony tail. I bought a pack that came with 3 black and 3 browns. For the first one, I seperated 2/3rds of my hair, and fliped it forward, and added a clip to the base. Then I flipped over half and added two clips, then I flipped over 1/3rd and added the last black clip. Here is the finished look. Truth be told when after I had the kids and my hair was growing back, this was my go to style for the gym. Except I didn't add in the mini clips, but when you French braid the "bangs" it got all of those newbie hairs out of my face. Here is the final look, I love that it gives the regular pony tail something a little more. Here is the video in case you are a more, I need to see it live in person. 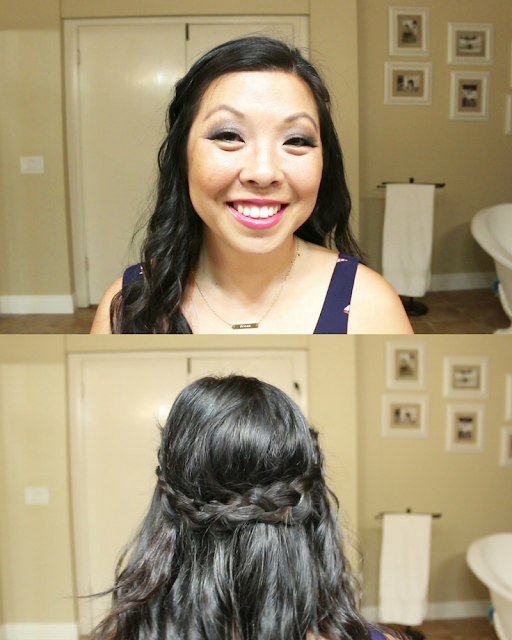 This next one is a fun casual half up do. I like it because it makes you look like you tried, when in all reality it is two braids, super easy right? I did this for our Niagara Falls Tour when I went to Canada. I personally like curling my hair first, but you can do this style straight if you prefer. First you are going to do another far part in your hair. I part my hair on the right. Take a large side chunk of hair on the side that has more hair, for me it's my left side. 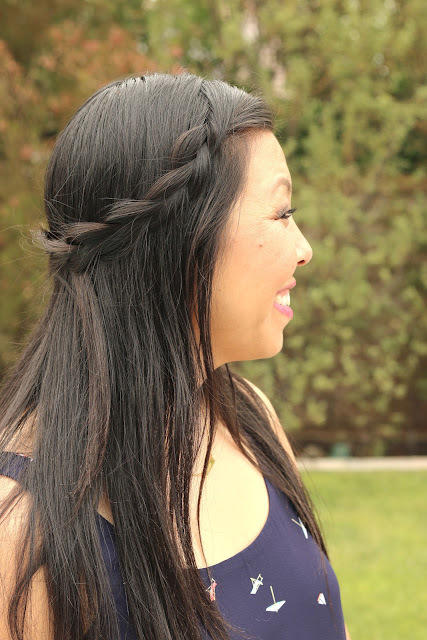 If you want to go fancy, you can do the same french braid like you did for style #1. I personally like to leave some hair to cover my ear, but you could take all of the your hair before your ear. You want to braid enough so that it can reach the others side of your head. 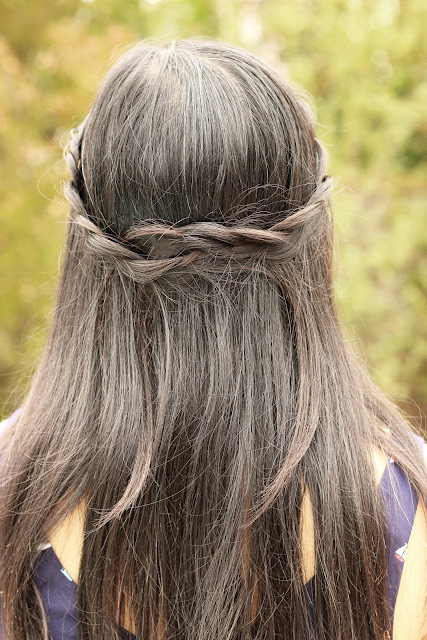 Then pancake your braid, tie off with black elastic, or clear elastic depending on your hair color. Then braid the other side of your head, if you French braided the first side, no need to do it on this side too, it looks weird. Pancake this new side as well, ultimately you want to have the pancaked braids about the same size. 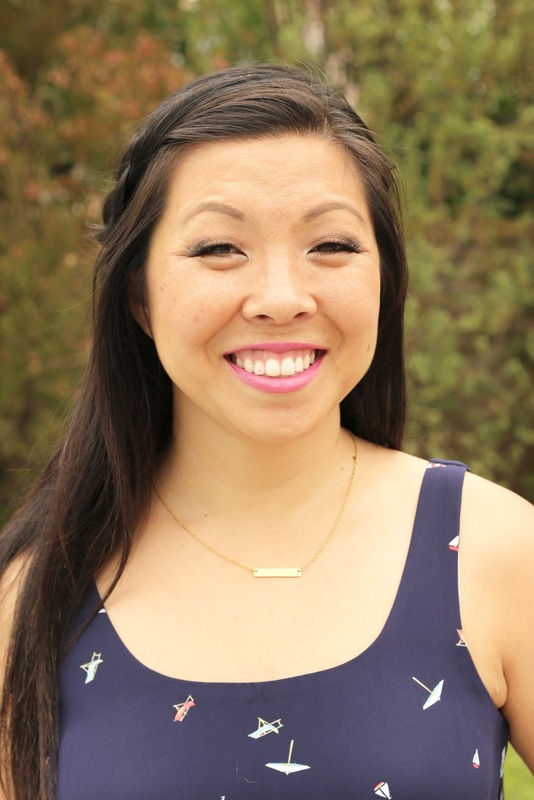 Take the smaller side braid and cross behind head and pin to the other side of your head, bobby pin, try to keep the bobby pin horizontal to the floor, so the bobby pin will ultimately go through your braid. Then take the larger side braid and cross to the other side of your head, tuck the end under the first braid that you crossed over. 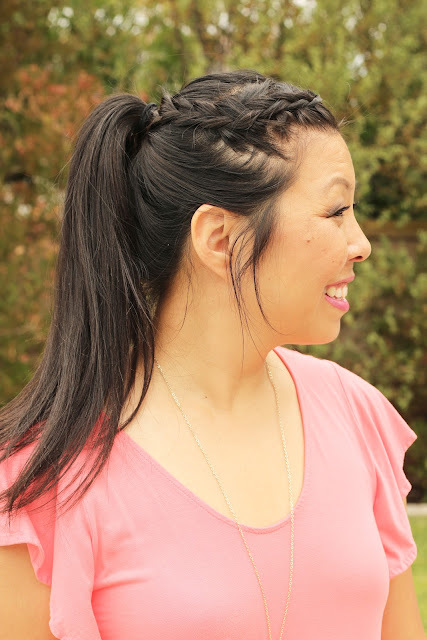 Try to bobby pin this second braid so that you cannot see the pins. Since you tucked it under the first braid, you should be able to hide the pin with the first braid. This is your finished hair style. I also did this style with straight hair. Here's how it came out. For those that want to see a video, here is a full video of this hair style. I hope you learned something from one of these hair styles. If you do try one of these styles out, tag me in your photo @foxysdomesticside on IG and @foxysdomestic on twitter. 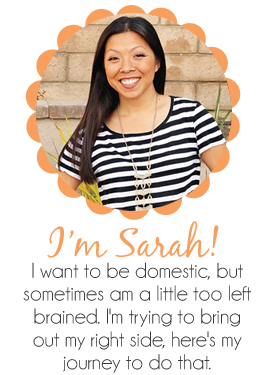 Now go check out some other fun Summer Lovin' posts! Usually I have a fashion link up, but because I'm doing this blog hop I am taking the week off. 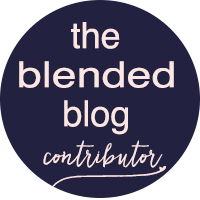 However The Blended Blog is still doing it, click here to go enter your fashion/style post!